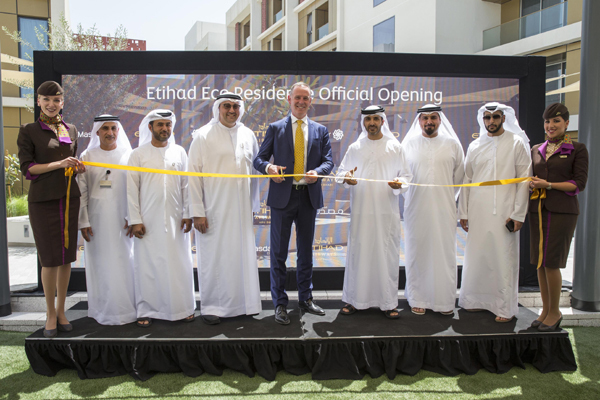 KATHMANDU, April 03: Etihad Airways has officially opened its Etihad Eco Residence cabin crew accommodation in the Masdar city of Abu Dhabi in the United Arab Emirates. Issuing a statement on Monday, the airline company said that the complex comprises of 500 apartments in 11 buildings at the pioneering Masdar City. The project recently won ‘Sustainable Design of the Year’ at the 2017 Emirates Green Building Council (EGBC) MENA Green Awards, and ‘Sustainable Construction Project of the Year’ at the Big Projects Middle East Awards 2017. "The residence offers comfortable, high-specification one and two-bedroom apartments which include furniture and white goods provided by Etihad Airways. Etihad Airways employs over 5,800 Abu Dhabi-based cabin crew. The opening of the Etihad Eco Residence reflects the airline’s strategy of providing safe and comfortable homes for crew. The residence reflects Masdar's commitment to the three pillars of social, economic and environmental sustainability and is designed to promote biodiversity while minimizing the use of 'high embodied energy' materials," the company added in the statement.